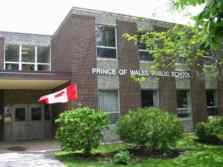 Prince of Wales School is proud to be an elementary school within the District School Board of Niagara. Our school population includes students from Junior Kindergarten to Grade 8. The staff and students of Prince of Wales School strive to be the best that they can be in academics, athletics, and within our community. 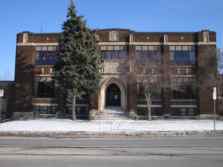 We are pleased to provide an outstanding education at Prince of Wales S Public School for our students. Innovative programs that meet the needs of all our students are taught by our dedicated and professional staff who care about your child. Our school provides extra-curricular opportunities that encourage the development of excellence, integrity and respect. At Prince of Wales Public School, we are constantly “Striving for Excellence in a Respectful, Safe and Challenging Learning Environment!” Prince of Wales Public School is a warm, friendly, and active school in Thorold that is home to approximately 200 students from kindergarten through Grade 8. We are comprised of an educational team of teachers, literacy coach, educational assistants, principal, support staff and youth counselor. Prince of Wales provides a rich and varied program in language arts, reading, math, the arts, social sciences, design and technology, and computers. Students participate in experiences and opportunities which encourage the development of excellence, integrity, tolerance, respect and a sense of social responsibility. Our staff members volunteer their time to organize and/or supervise extra-curricular activities for our students. We also enjoy a strong partnership with our School Council and parent volunteers who are strong members of our team, assisting with many functions where their expertise and support are invaluable. As a unified team we are committed to “Achieving Success Together”.